← Welcome to the Jewelry Warehouse Blog! 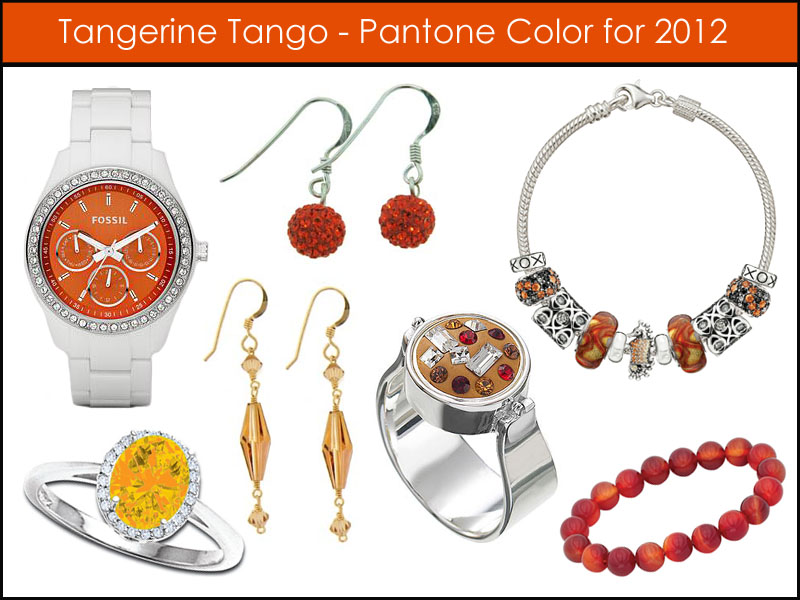 Tangerine Tango promises to provide “the energy boost we need to recharge and move forward.” Tangerine Tango, or Pantone color 17-1463, is the color authority’s Color of 2012 for its “vivaciousness and adrenaline rush of red with the friendliness and warmth of yellow,” said Leatrice Eiseman, executive director of the Pantone Color Institute. What do you think about it? Would you wear jewelry or accessories with this color? This entry was posted in Jewelry, Jewelry Trends. Bookmark the permalink.